SACRAMENTO — Gov. 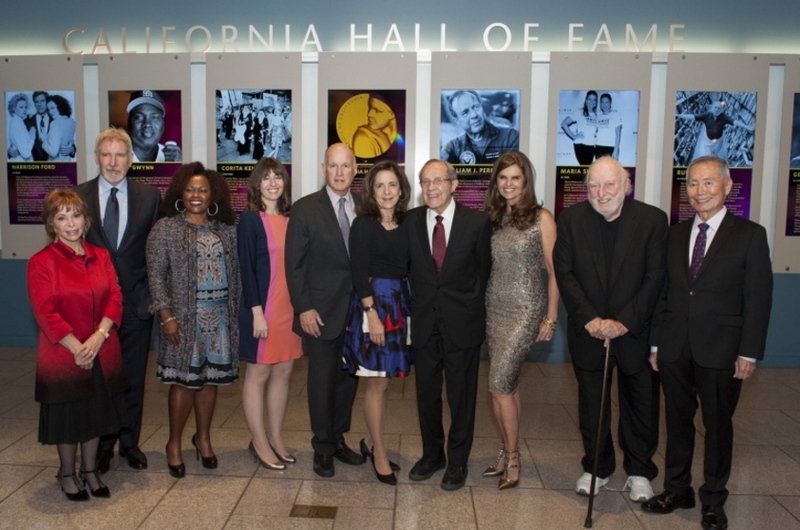 Jerry Brown and First Lady Anne Gust Brown joined the California Museum on Nov. 30 to award the Spirit of California medal to eight Californians inducted into the California Hall of Fame this evening. This year’s inductees were acclaimed author Isabel Allende; film icon Harrison Ford; the late baseball legend Tony Gwynn; the late artist and social justice advocate Corita Kent; former U.S. secretary of defense and nuclear deterrence expert William J. Perry; groundbreaking journalist and former First Lady of California Maria Shriver; music business pioneer Russ Solomon; and celebrated actor and activist George Takei. Inductees and family members of posthumous inductees received the Spirit of California medal from the governor and first lady in the official state ceremony this evening at the California Museum in downtown Sacramento. This year marks the 10th annual award ceremony. In addition to the ceremony, inductees will be commemorated with an exhibition of artifacts highlighting their lives and achievements, which opened to the public on Dec. 1 at the California Museum. This year’s recipients join 96 Californians previously inducted into the California Hall of Fame for making remarkable achievements across a variety of California industries and areas of influence, including science, philanthropy, sports, business, entertainment, literature, technology, activism and politics. Past inductees include the late martial arts legend Bruce Lee, Olympic figure skater Kristi Yamaguchi, author Amy Tan, pro golfer Tiger Woods, and AIDS researcher David Ho, MD. For more information, visit www.CaliforniaMuseum.org/california-hall-fame.